Jacqueline Kaufman represents developers, individuals and corporate entities in real property and land use matters. She regularly appears before municipal commissions and agencies in Fairfield and New Haven counties on a wide range of applications, including zone changes, subdivisions, site plans, special permits, variances, inland wetland and coastal area permits. Jacqueline also represents individuals in residential real estate transactions and prepares zoning analyses related to potential developments and property acquisitions. Jacqueline also files and defends administrative appeals in the Connecticut Superior Court. 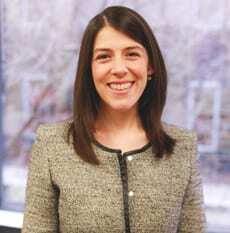 She is admitted in Connecticut, New York, New Jersey and has been recognized as a “Rising Star” in Super Lawyers magazine for the last several years. Prior to joining Carmody Torrance Sandak & Hennessey as a partner, Jacqueline was a partner with Sandak Hennessey & Greco LLP with whom she had practiced since 2003.